I, the undersigned, parent or guardian of , a minor, do hereby authorize and appoint all representatives of the City and County of Honolulu / North Shore Lifeguard Association Junior Lifeguard Program to act as agents for the undersigned, to consent to any x-ray examination, medical or surgical diagnosis or treatment and hospital care which is deemed advisable by and rendered under general or special supervision of any physician and surgeon licensed under the provision of the Medical Practice Act or the medical staff of any accredited hospital, whether such diagnosis or treatment of hospital care being required but is given to provided authority and power on the hospital care which the aforementioned physician in the exercise of his best judgment may deem advisable. It is understood that the effort shall be made to contact the undersigned prior to the rendering of treatment to the patient but that none of the above treatment shall be withheld if the undersigned cannot be reached. This authorization shall remain in effect until revoked in writing or such time as (Participant’s Name) is no longer participating in the Junior Lifeguard Program. 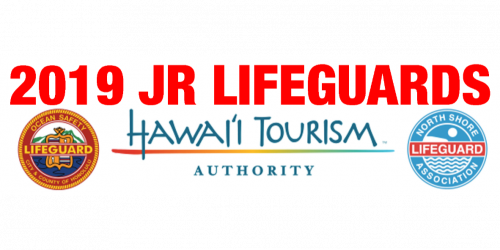 I, (Name of Parent / Guardian) hereby release the North Shore Lifeguard Association, the Ocean Safety and Lifeguard Services Division, the Emergency Services Department, and the City and County of Honolulu and each of its officers, agents, employees, and sponsors from any liability or injury to my child that might result from any accident during the participation and instructions of the summer Junior Lifeguard Program and the Junior Lifeguard State Championships. I understand and appreciate that ocean swimming and participation in the Junior Lifeguard Program and Junior Lifeguard State Championships is a potentially hazardous activity. 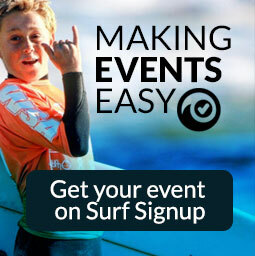 I am aware of and assume all such risks of participation in the Junior Lifeguard Program and the Junior Lifeguard State Championships by (Participant’s Name) , including, but not limited to contact with other participants, the effects of weather, including surf and currents, and the conditions of the ocean. IN CONSIDERATION of accepting this application, I for myself and anyone entitled to act on my behalf, waive, and release from any and all claims for injuries and damages I may have against the class instructors, the City and County of Honolulu, the sponsors, their agents and representatives arising out of my minors participation of this event. I have read the particulars on the program application and understand that this program is physically demanding. I GIVE PERMISSION for free use of my name, voice or picture in broadcast, telecast, advertising promotion and other accounts of this program.